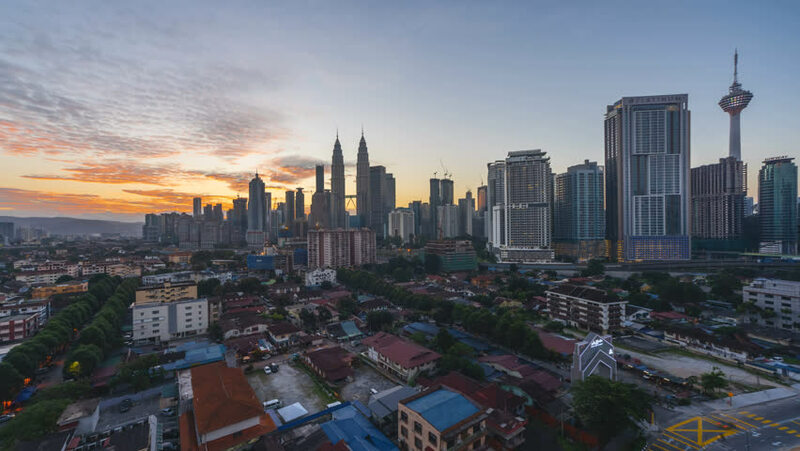 4k00:10Time lapse of sunrise in cityscape Kuala Lumpur, Malaysia. Night to Day Aerial View. Zoom in motion timelapse. Prores 4K.